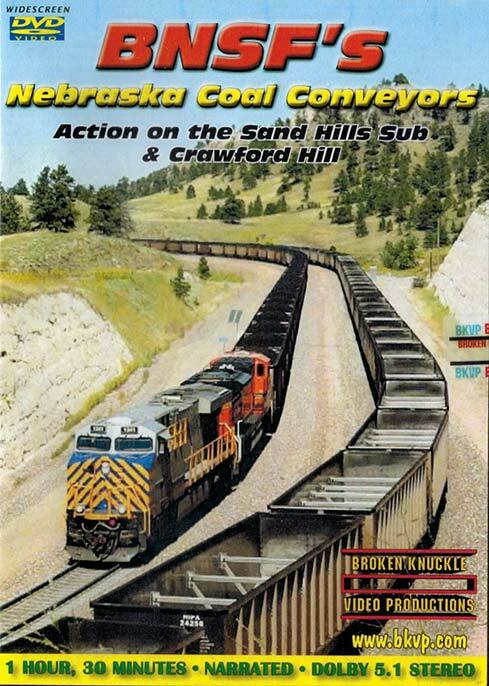 From alliance, nebraska, bnsf's sand hills subdivision moves high volumes of powder river basin coal to the east and other regions. In this program, you'll see trains from a variety of locations, mainly on the western (and more scenic) portion of the line. Then on the butte subdivision, heavy, loud & intense would be the best way to describe the trains as they climb for 14 miles out of crawford, and are challenged by the pine ridge escarpment & the double horseshoe of crawford hill. Trains that often exceed 15,000 tons face a grade of 1.55 percent, and manned helpers are required. Videographer dan millette recorded the drama in full high definition video from earth-shaking ground level shots to beautiful panoramic overlooks! Watawna (Blacktown AU) on 2017-06-04 20:52:05. 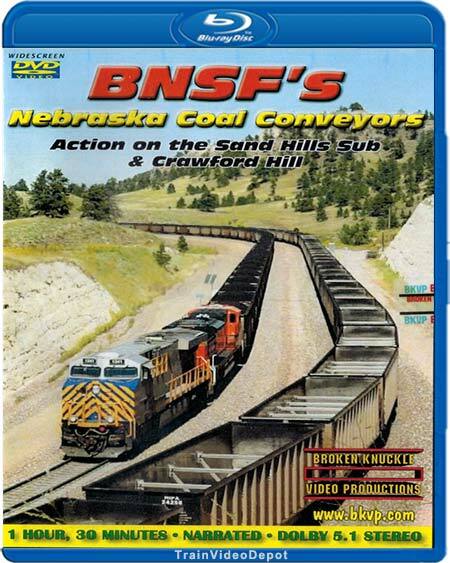 Another awesome Blu-Ray about coal activity, I really enjoy train activities on the Sand Hill Sub and Crawford Hill. Videographer Dan Millette does an excellent job with his video camera, very enjoyable video to watch. mySP7377 (San Diego, Ca.) on 2015-02-13 14:26:35. This is a nicely photographed and narrated DVD, the camera work through out the whole DVD is excellent the narration is informative and interesting. The DVD starts with some footage of BNSF trains between Ravenna and Alliance NE, but the rest of the DVD is shot just on Crawford Hill, so there's no coverage in or around Crawford or Belmont at the summit where the helpers are cut off, that would be the only improvement I could see here, with that said the DVD is other wise excellent and the photographer(s) move around Crawford Hill as the sun moves so most every train is photographed with nice sun behind them, no into the sun or back light shots here. I defiantly recommend this DVD. run8anderson (Basking Ridge, NJ) on 2015-01-28 20:36:35. I am giving this production 4.5 stars. The quality of videography, research and narration was excellent. I have visited this location and my only negative was that no scenes were shot from Belmont (top of the hill) where helpers are cut-off & Crawford (bottom of the hill) where helpers are stationed and added to eastbounds. I have been waiting for years for an update from this location for years. Maybe in Vol. 2 will be scenes from Belmont & Crawford.